OSU is one of 73 land-grant universities in the United States. The school is also a sea-grant, space-grant, and sun-grant institution, making it one of only three U.S. institutions to obtain all four designations and one of two public universities to do so. (Cornell and Penn State are the only others with similar designation; Penn State is the only public university with matching designations.) OSU received $441 million in research funding for the 2017 fiscal year. The university's roots date back to 1856, when it was established as the area's first community school for primary and preparatory education. Throughout the university's history, the name changed eleven times. Like other early established land-grant colleges and universities, the majority of name changes occurred through the 1920s. Generally, name changes were made to better align a school with the largest available federal grants in agriculture research. Corvallis area Freemasons played a leading role in developing the early school. Several of the university's largest buildings are named after these early founders. The school offered its first college-level curriculum in 1865, under the administration of the Methodist Episcopal Church, South. On August 22, 1868, official articles of incorporation were filed for Corvallis College. October 27, 1868, is known as OSU Charter Day. The Oregon Legislative Assembly designated Corvallis College as the "agricultural college of the state of Oregon" and the recipient of the Land Grant. Acceptance of this grant required the college to comply with the requirements set forth in the First Morrill Act and the name of the school was changed to Corvallis State Agricultural College. The school was then authorized to grant the Bachelor of Arts, Bachelor of Science and Master of Arts degrees. The first graduating class was in 1870, granting Bachelor of Arts degrees. The school's name changed several times in the early years as its mission quickly broadened. The Oregon Unification Bill was passed in 1929 by the Legislative Assembly, which placed the school under the oversight of the newly formed Oregon State Board of Higher Education. A doctoral in education was first offered in the early 1930s, with the conferral of four Doctor of Philosophy degrees in 1935. This year also saw the creation of the first summer session. The growing diversity in degree programs led to another name change in 1937, when the college became Oregon State College. The university's current title, Oregon State University, was adopted on March 6, 1961, by a legislative act signed into law by Governor Mark Hatfield. In 2007, Scott Reed was named the Vice Provost for Outreach and Engagement as OSU Extension Service and OSU Ecampus were aligned under this new division. Ecampus delivers OSU degree programs and courses online and at a distance to students worldwide. Admission to Oregon State is rated "selective" by U.S. News & World Report. For Fall 2015, OSU received 14,058 freshmen applications; 11,016 were admitted (78.4%) and 3,593 enrolled. The average high school grade point average (GPA) of the enrolled freshmen was 3.58, while the middle 50% range of SAT scores were 480-610 for critical reading, 490-630 for math, and 470-590 for writing. The middle 50% range of the ACT Composite score was 21-28. Research has played a central role in the university's overall operations for much of its history. Most of OSU's research continues at the Corvallis campus, but an increasing number of endeavors are underway at various locations throughout the state and abroad. Current research facilities, beyond the campus, include the John L. Fryer Aquatic Animal Health Laboratory in Corvallis., the Seafood Laboratory in Astoria and the Food Innovation Laboratory in Portland. The university's College of Earth, Ocean and Atmospheric Sciences (CEOAS) operates several state-of-the-art laboratories, including the Hatfield Marine Science Center and three oceanographic research vessels based in Newport. CEOAS is now co-leading the largest ocean science project in U.S. history, the Ocean Observatories Initiative (OOI). The OOI features a fleet of undersea gliders at six sites in the Pacific and Atlantic Oceans with multiple observation platforms. CEOAS is also leading the design and construction of the next class of ocean-going research vessels for the National Science Foundation, which will be the largest grant or contract ever received by any university in Oregon. OSU also manages nearly 11,250 acres (4,550 ha) of forest land, which includes the McDonald-Dunn Research Forest. The 2005 Carnegie Classification of Institutions of Higher Education recognized Oregon State as a "comprehensive doctoral with medical/veterinary" university. This is one of only three such universities in the Pacific Northwest to be classified in this category. In 2006, Carnegie also recognized the university as having "very high research activity," which makes OSU the only university in Oregon to attain these combined classifications. Irish Bend Covered Bridge - The west side of campus is dedicated, primarily, to agricultural research. It is also home to this historic landmark. The National Sea Grant College Program was founded in the 1960s. OSU is one of the original four Sea Grant Colleges selected in 1971. In 1967 the Radiation Center was constructed at the edge of campus, housing a 1.1 MW TRIGA Mark II Research Reactor. The reactor is equipped to utilize Highly Enriched Uranium (HEU) for fuel. Rankings published by U.S. News & World Report in 2008 placed Oregon State eighth in the nation in graduate nuclear engineering. OSU was one of the early members of the federal Space Grant program. Designated in 1991, the additional grant program made Oregon State one of only 13 schools in the United States to serve as a combined Land Grant, Sea Grant and Space Grant university. Most recently, OSU was designated as a federal Sun Grant institution. The designation, made in 2003, now makes Oregon State one of only two such universities (the other being Cornell University) and the only public institution with all four designations. In 1999, OSU finished a $40 million remodelling of the campus library. Known as the Valley Library, the totally remodelled building was selected by The Library Journal as their 1999 Library of the Year, the first academic library so named. In 2001, the university's Wave Research Laboratory was designated by the National Science Foundation as a site for tsunami research under the Network for Earthquake Engineering Simulation. The O. H. Hinsdale Wave Research Laboratory is on the edge of the campus and is one of the largest and most sophisticated laboratories for education, research and testing in coastal, ocean and related areas in the world. The National Institute of Environmental Health Sciences funds two research centers at Oregon State University. The Environmental Health Sciences Center has been funded continually since 1969 and the Superfund Research Center is a newer center that started funding in 2009. OSU administers the H.J. Andrews Experimental Forest, a United States Forest Service facility dedicated to forestry and ecology research. The Andrews Forest is a UNESCO International Biosphere Reserve. OSU has more majors, minors and special programs than any other university or college in Oregon. The 2016 edition of Academic Ranking of World Universities (ARWU) ranked Oregon State in the "151 to 200" tier for universities worldwide and "62-71" nationally. In its rankings for 2017, U.S. News & World Report ranked Oregon State University tied for 143rd nationally and as the 71st (tied) top public university. In addition, U.S. News & World Report ranks OSU as tied for the 218th best university globally. In its 2016 Global Ranking of Academic Subjects, the Academic Ranking of World Universities (ARWU) ranked Oregon State University's Environmental Science & Engineering program 20th in the world, its Electrical & Electronic Engineering program was ranked in the top "151-200" positions worldwide, while its Materials Science & Engineering program was ranked among the top "301-400" international programs. Moreover, The forestry and agricultural sciences subject at Oregon State University ranks 9th in the world (7th in the US), according to QS World University rankings in 2015. In 2012, ECONorthwest conducted an economic impact analysis that found that each year OSU has a $2.06 billion economic footprint. $1.93 billion of this total was in the state of Oregon. The 420-acre (170 ha) main campus is located in Corvallis, in the Willamette Valley. In 1994, OSU was rated the safest campus in the Pac-10 in a study of universities. 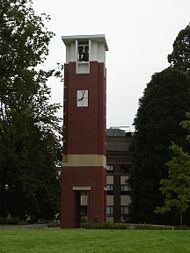 In September 2008, much of the Oregon State University campus in Corvallis was designated the Oregon State University Historic District by the National Register of Historic Places. It is the only college or university campus in Oregon to have a historic district designation. The effort to have the John Charles Olmsted-designed campus listed on the National Register took two years. OSU recently completed the construction of a branch campus located in Bend. This new branch campus is called OSU-Cascades and offers students living in the more central region of the state an opportunity to attend select classes at a campus location closer to their homes. Oregon State offers more than 40 degree and certificate programs made up from a selection of over 900 online courses in 90 subject areas. OSU's online bachelor's degree programs were ranked 5th in the United States by US News & World Report in 2015. These programs and courses are developed by OSU faculty and delivered online by Oregon State University Ecampus. Students who pursue an education online with OSU earn the same diploma and transcript as the university's on-campus students. The academic programs are divided among twelve colleges plus the graduate school, each with a dean responsible for all faculty, staff, students and academic programs. Colleges are divided either into departments administered by a department head/chair or schools administered by a director who oversees program coordinators. Each school or department is responsible for academic programs leading to degrees, certificates, options or minors. Oregon State has varied, and numerous, partnership agreements with international institutions that include James Cook University in Australia, the University of Forestry in Bulgaria, Lincoln University in New Zealand and India's Gokula Education Foundation founded by Indian industrialist M. S. Ramaiah. The Associated Students of Oregon State University (ASOSU) is the officially recognized student government at Oregon State University and represents all students in campus affairs and at community, state and federal levels regarding issues that directly influence the quality of and access to, post-secondary education. Corvallis is the tenth largest city in the state. It is a relatively small community and many of the local events have a strong connection to the university. Oregon State has over 400 active student organizations and groups. The campus is only a few hours driving distance from any number of outdoor recreation opportunities. Several federal and state natural forests and parks are popular student destinations. These include the Cascade Range, a rugged coastline, several large forests, the high desert and numerous rivers and lakes. Portland, Oregon's largest city, is 85 miles (137 km) north of the campus. 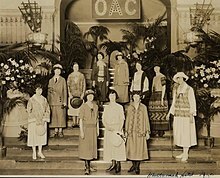 From 1930 until 1968, Oregon State University was home to the Gamma chapter of Phrateres, a philanthropic-social organization for female college students. Gamma was the third chapter of the organization, which eventually had over 20 chapters in Canada and the United States. The majority of older students at Oregon State University live off-campus, but on-campus housing is available and required for most incoming freshmen. There are 16 residence halls on campus, which are organized into individual Hall Councils. The residence halls include Bloss Hall, Buxton Hall, Callahan Hall, Cauthorn Hall, Dixon Lodge, Finley Hall, Halsell Hall, Hawley Hall, International Living-Learning Center, McNary Hall, Poling Hall, Sackett Hall, Tebeau Hall, Weatherford Hall, West Hall, and Wilson Hall. Residents make up the membership and each council holds their own elections to select management over the hall government. All of the councils are managed by the Residence Hall Association (RHA). The LaSells Stewart Center is the conference and performing arts center for the campus. Many famous speakers have graced the stage of the campus' main auditorium, Austin Auditorium, while the Corvallis-OSU Symphony plays there frequently. The OSU Office of Conferences and Special Events is in the auditorium. The university is home to Orange Media Network, the university's student media department. Orange Media Network encompasses the award-winning The Daily Barometer student newspaper, KBVR 88.7 FM, KBVR-TV, Prism Art and Literary Journal, lifestyle magazine Beaver's Digest, and fashion magazine DAMchic. Two Oregon State students are members of the Oregon Student Association Board of Directors. Notable among a number of songs commonly played and sung at various events such as commencement, convocation and athletic games are: Hail to Old OSU and the Alma Mater. In a 2008 national ranking based on academics, athletic opportunity and overall performance, Oregon State was chosen as one of the "premier" universities in America. This ranking, performed by STACK magazine, places Oregon State 29th in the nation's "Elite 50" universities and uncontested within the state that year. Since then, the University of Oregon has joined Oregon State in the STACK rankings. The history of Oregon State athletics dates back to 1893, when "Jimmie the Coyote" was chosen as the college's mascot. This was replaced by the beaver in 1910; it has remained the school's mascot. In 1915, the college became one of the four charter members of the Pacific Coast (Athletic) Conference. 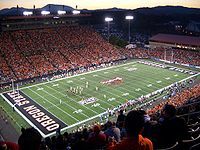 Football is played in Reser Stadium. The current costumed mascot Benny the Beaver made his first appearance in 1952. The next year, 1953, saw the opening of the football facility, Parker Stadium (now named Reser Stadium). The Raising Reser campaign expanded the stadium from 35,000 seats to 46,200 throughout 2006–07. A time lapse video recording of the expansion is viewable on the internet. 1962 saw OSU's (and the west coast's) first Heisman Trophy winner, quarterback Terry Baker. The University of Oregon is often seen as the school's key athletic rival, with the annual Civil War football game between the two teams being one of the nation's longest-lived rivalries. Trysting Tree's name is traced to a tree near Benton Hall where student couples would meet and make dates. Basketball is held in Gill Coliseum, named after former Beavers coach Slats Gill, also home to the University's Collegiate wrestling team. The Civil War is one of the most contested rivalries in the nation. Baseball is held in Goss Stadium at Coleman Field. The OSU baseball team, managed by Pat Casey, won back-to-back NCAA Division I Baseball Championships in 2006 and 2007 and added a third in 2018. Softball is held in the OSU Softball Complex. Opened in April 2001, the $1.5 million OSU Softball Complex seats 750. Oregon State hosted a Regional and Super Regional tournament in the 2006 NCAA tournament, winning both and moving on to the Women's College World Series. Oregon State has a total of four NCAA championships. In addition to the three baseball titles (2006, 2007 and 2018), the Beavers won the 1961 NCAA Men's Cross Country Championship. In 1975, the men's rowing Varsity-4 with coxswain team won the Intercollegiate Rowing Association National Collegiate Rowing Championships in Syracuse, New York, establishing a course record which stood for 15 years. The Oregon State racquetball team has won 10 consecutive USA racquetball intercollegiate championships, beginning in 2008. The 2018 Oregon State baseball team won the NCAA Division I Championship defeating the Arkansas Razorbacks in three games making it their third title ever in the sport of baseball managed by the same manager from the previous two titles Pat Casey. In fall 2017, total student enrollment was 30,896, the largest among all Oregon universities. In accordance with the university's mission for diversity, many organizations, clubs, and departments have been formed, including the Office Of Community and Diversity and several cultural and resource centers. Oregon State University has several cultural centers aimed at promoting diversity and supporting students of color, including the Lonnie B. Harris Black Cultural Center, Native American Longhouse, Asian & Pacific Cultural Center and the Centro Cultural César Chávez. In addition to its mission of ethnic diversity, Oregon State University supports its lesbian, gay, bisexual and transgender population with a Pride Center. Together with university leaders, the OSU Foundation publicly launched Oregon State's first comprehensive fundraising campaign, The Campaign for OSU, on October 26, 2007, with a goal of $625 million. Donors exceeded the goal in October 2010 nearly a year ahead of schedule, resulting in a goal increase to $850 million. In March 2012 the goal was raised to $1 billion. At OSU's annual State of the University address in Portland on January 31, 2014, President Edward J. Ray announced that campaign contributions had passed $1 billion, putting Oregon State in a group of 35 public universities to cross the billion-dollar fundraising mark and one of only two organizations in the Pacific Northwest to reach the $1 billion campaign milestone. The Campaign for OSU concluded on December 31, 2014, with more than $1.1 billion from 106,000 donors. The Oregon State University Foundation is a nonprofit organization chartered to raise and administer private funds in support of the university's education, research and outreach. The OSU Foundation is governed by a volunteer Board of Trustees. It holds assets of more than $650 million and manages the majority portion of the university's composite endowment, valued at more than $505 million (June 30, 2015). Oregon State University has numerous nationally and internationally famous alumni who have contributed significantly to their professions. Among over 200,000 OSU alumni, scientist and peace activist Linus Pauling may be the most famous. Pauling is the only recipient of two unshared Nobel Prizes, awarded in the fields of chemistry and peace. Lee Arden Thomas, architect who designed the OSU Memorial Union. Joint Service Review 2015. From left to right; Army ROTC, Naval ROTC, Air Force ROTC. Ulysses G. McAlexander, Commander of Army ROTC from 1907-1911 and again from 1915-1917. Earned the nickname "Rock of the Marne" during World War I. Helped with the construction of the Memorial Union and received an honorary doctorate from the university in 1930. Oregon State University is also one of the few universities to have ROTC detachments for each branch of the US Military. Oregon State University Army ROTC is a distinguished program and has been taught regularly since 1873. The so-called Beaver Battalion is known as the West Point of the West for producing more commissioned officers than any other non-military school during World War II. It is located in McAlexander Fieldhouse, named after General Ulysses G. McAlexander, the former commander of Army ROTC. After the Second World War ended in 1945, a Department of Naval Science was added at Oregon State. Providing officer training for the both the US Navy and the US Marine Corps, it is now one of the largest in the nation and has earned the unofficial title "Naval Academy of the Northwest." On 1 July 1949, the US Army Air Corps training branch became a separate officer training unit now known as Aerospace Science. The Oregon State Air Force ROTC draws more freshmen scholarships than any other AFROTC unit in the nation and has had over 1,000 officers commissioned. In 1977, two graduates of the OSU AFROTC became the first women pilots in the Air Force. Today, the Army and Air Force ROTC programs at the University share the McAlexander Fieldhouse. Douglas Engelbart, winner National Medal of Technology, known for computer mouse and Mother of all Demos. Linus Pauling, only winner of two unshared Nobel prizes, chemist known for advancing the theory of the chemical bond and the concept of ortho-molecular medicine. Earl A. Thompson, inventor of the manual transmission synchronizer in 1923 and leader of the team at General Motors Corporation that developed the first Hydramatic automatic transmission in 1940. Oregon State athletes have had a significant showing in professional sports, including more than 15 MLB players, more than 20 NBA players and more than 130 NFL players. A. C. Green, former NBA player nicknamed "Iron Man"
Craig Robinson, former OSU head basketball coach and the brother-in-law of President Barack Obama. OSU Extension Service program is a section for non-students and adult education established on July 24, 1911 under the leadership of Vice-Provost Scott Reed (OSU Extension Service Administration) OSU Extensions, Combined Experiment & Extension Centers, Branch Experiment Stations, and Open Campus are located in several counties. Programs include 4-H Youth Development, Agriculture and Natural Resources (includes OSU Master Gardener, Metro Master Gardener), Family and Community Health/SNAP-Ed, and Forestry and Natural Resources. Annual Catalogue of Officers and Students, Corvallis State Agricultural College, 1873-1874. Salem, OR: E.H. White, 1874. —Includes several annual volumes listing professors, alumni, students, and college regulations. ^ "U.S. and Canadian Institutions Listed by Fiscal Year (FY) 2016 Endowment Market Value and Change in Endowment Market Value from FY 2015 to FY 2016" (PDF). National Association of College and University Business Officers and Commonfund Institute. 2017. ^ "Annual Operating Budget (Orange Book)" (PDF). Oregon State University. Retrieved December 1, 2016. ^ a b c d e "Enrollment Summary - Fall 2017" (PDF). Oregon State University Office of Institutional Research. Retrieved November 16, 2017. ^ "Colors | University Relations | Oregon State University". Retrieved 2017-05-02. ^ "Membership - Why Join?". OSU Alumni Association. ^ "Carnegie Foundation bestows coveted 'Community Engagement' designation on OSU". January 8, 2011. Retrieved November 22, 2014. ^ Staff (2008). "A Listing of Land Grant Institutions". Higher Education Resource Hub!. Higher-ed.org. Retrieved 1 July 2012. ^ "Mission Statement". Oregon State University. Archived from the original on 2014-12-13. ^ "OSU research funding tops $400 million". Retrieved 2017-09-11. ^ "Chronological History of Oregon State University - 1960 to 1969". Scarc.library.oregonstate.edu. Retrieved 2016-11-17. ^ "Fraternal orders shaped Corvallis; Gazette Times; By Ken Munford; May 25, 2007, 2007". Retrieved 2006-11-08. ^ "Town, university have symbiotic relationship; Gazette Times; By Ken Munford; August 10, 2007". Retrieved 2006-11-08. ^ "OSU measure signed by Gov. Hatfield". Eugene Register-Guard. Oregon. Associated Press. March 6, 1961. p. 1. ^ a b c d "Common Data Set 2015-2016" (PDF). Oregon State University. ^ "Common Data Set 2014-2015" (PDF). Oregon State University. ^ "Common Data Set 2013-2014" (PDF). Oregon State University. ^ "Common Data Set 2012-2013" (PDF). Oregon State University. ^ "Common Data Set 2011-2012" (PDF). Oregon State University. ^ "U.S. News Best Colleges Rankings: Oregon State University". U.S. News & World Report. 2017. Retrieved January 14, 2017. ^ Adriel Garay (2012). "History of the OSU Seed Lab". OSU Oregon State University. Oregon State University. Retrieved 22 July 2012. ^ Oregon State University (14 July 2009). "OSU Celebrates 50 Years of Oceanography Research". Oregon State University. Oregon State University. Archived from the original on 25 April 2012. Retrieved 22 July 2012. ^ George W. Peavy; Paul M. Dunn; Walter F. McCulloch. "College of Forestry Records (RG 139)". College of Forestry Records. State Department of Forestry—State Archives of Oregon: OSU Oregon State University. Retrieved 22 July 2012. ^ OSU Oregon State University (2012). "OAES History". OSU Oregon State University College of Agricultural Sciences. Oregon State University. Retrieved 22 July 2012. ^ Oregon State University OSU Foundation (2012). "The George R. Hyslop Professorship for Oregon Grass Seed Research and Education". The Campaign for OSU. Oregon State University OSU Foundation. Retrieved 22 July 2012. ^ Oregon State University College Forests (2012). "Acquisition of McDonald-Dunn Forests". OSU Oregon State University College Forests. Oregon State University. Archived from the original on 13 October 2012. Retrieved 22 July 2012. ^ Northwest Digital Archives (NWDA) (2002). "Guide to the College of Agricultural Sciences Records 1895-1997". Northwest Digital Archives (NWDA). Orbis Cascade Alliance. Retrieved 22 July 2012. ^ OSU Seafood & Research Education Center (1995–2012). "About". OSU Seafood & Research Education Center. OSU Oregon State University. Retrieved 22 July 2012. ^ O.H. Hinsdale Wave Research Laboratory (2012). "Facilities". O.H. Hinsdale Wave Research Laboratory. OSU Oregon State University. Retrieved 22 July 2012. ^ Finding aid prepared by Elizabeth Nielsen (2008). "Guide to the Radiation Center Photographs 1959-1965". Northwest Digital Archives (NWDA). Orbis Cascade Alliance. p. 033. Retrieved 22 July 2012. ^ "John L. Fryer Aquatic Animal Health Laboratory - Department of Microbiology - Oregon State University". microbiology.science.oregonstate.edu. ^ "Regional Class Research Vessel". RCRV. CEOAS. Retrieved May 7, 2016. ^ Forest Engineering (June 2005). "McDonald-Dunn Forest Plan" (PDF). cf.forestry.oregonstate.edu. Oregon State University - College of Forestry. Retrieved April 1, 2018. ^ "History of Sea Grant". National Oceanic and Atmospheric Administration. Archived from the original on 2008-05-13. ^ a b Staff (1 July 2012). "Oregon State University (OSU)". moveonnet - Higher Education Worldwide. moveonnet. Archived from the original on 26 June 2013. Retrieved 1 July 2012. ^ "Oregon State University – U.S. News Best Grad School Rankings". U.S. News & World Report. Retrieved 2 June 2017. 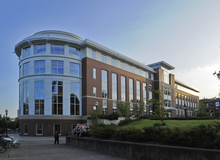 ^ "Oregon State University – U.S. News Best Global University Rankings". U.S. News & World Report. Retrieved 14 July 2017. ^ "OSU- Peterson's" (PDF). Archived from the original (PDF) on 2008-05-29. Retrieved 2008-02-17. ^ "U.S. News Best Colleges Rankings - Oregon State University". U.S. News & World Report. Retrieved 2016-12-02. ^ "ShanghaiRanking's Global Ranking of Academic Subjects 2016 - Energy Science & Engineering". www.shanghairanking.com. ShanghaiRanking Consultancy. Archived from the original on 2018-04-02. Retrieved April 1, 2018. ^ "QS World University Rankings by Subject 2015 - Agriculture & Forestry". www.topuniversities.com. QS Quacquarelli Symonds Limited. Retrieved April 1, 2018. ^ Graves, Bill (19 January 2012). "Oregon State University has $2 billion economic footprint, says President Ed Ray". oregonlive.com. ^ "The Economic Impact of Oregon State University". ECONorthwest. Archived from the original on 2013-04-07. Retrieved 2012-08-26. ^ "Oregon State University Chronological History: 1990-1999". Archived from the original on June 27, 2006. Retrieved June 9, 2006. ^ "Oregon State campus declared historic district". www.bizjournals.com. Portland Business Journal. September 11, 2008. Retrieved April 1, 2018. ^ "Media Release: National Historic District Approved for Oregon State University". oregonstate.edu. Oregon State University - Communication Services. September 11, 2008. Archived from the original on January 15, 2009. Retrieved April 1, 2018. ^ "All Degrees & Programs". oregonstate.edu. ^ "OSU online bachelor's programs ranked fifth nationally by U.S. News - News & Research Communications - Oregon State University". oregonstate.edu. ^ "OSU: Partnerships and Agreements". Oregon State University. ^ "Division of International Programs". Oregon State University. ^ "Digital Collections : L_TITLE_ITEM_VIEWER". web.archive.org. 4 May 2009. ^ Group, Sinclair Broadcast (May 28, 2016). "Oregon State to name new residence hall after pioneering student". KVAL. Retrieved January 30, 2016. ^ "Elite 50". Stack. Archived from the original on 2012-09-08. Retrieved 2008-02-03. ^ "Oregon State Official Athletic Site - Facilities". Osubeavers.com. 2008-05-09. Retrieved 2012-06-06. ^ "Kevin Abel's gem leads Oregon State baseball to College World Series title". OregonLive.com. Retrieved 2018-07-02. ^ "Oregon State baseball closes out unfinished business with 2018 College World Series championship". NCAA.com. 2018-06-28. Retrieved 2018-07-02. ^ "The Year was 1975". OSU Alumni Association. Retrieved 2007-11-27. ^ "Oregon State racquetball team wins 10th straight national title". Statesman Journal. April 7, 2017. Retrieved 2017-12-16. ^ "What's New | Equity and Inclusion | Oregon State University". Oregonstate.edu. 2012-01-26. Archived from the original on 2007-08-07. Retrieved 2012-06-06. ^ "Oregon State University launches $625 million campaign, the first in OSU history | News and Research Communications | Oregon State University". oregonstate.edu. Retrieved 2016-04-29. ^ "Goal expanded to $1 billion for 'Campaign for OSU' | News and Research Communications | Oregon State University". oregonstate.edu. Retrieved 2016-04-29. ^ "OSU Surpasses Fundraising Milestone of $1 Billion". Campaignforosu.org. Retrieved 2014-01-31. ^ "Oregon State University's fundraising passes $1 billion". Portland Business Journal. Retrieved 2014-01-31. ^ "Oregon State University raises $1.01 billion -- well ahead of schedule". OregonLive.com. Retrieved 2016-04-29. ^ "Summary of The Campaign for OSU". OSU Foundation. ^ "OSU Foundation - Volunteer Leadership". www.osufoundation.org. Retrieved 2016-04-29. ^ "Famous Alumni - Oregon State University Alumni Association". oregonstate.edu. Archived from the original on 5 April 2007. ^ Dunitz, J. D. (1996). "Linus Carl Pauling: 28 February 1901 - 19 August 1994". Biographical Memoirs of Fellows of the Royal Society. 42: 317–338. doi:10.1098/rsbm.1996.0020. PMID 11619334. ^ "Army ROTC". Army ROTC. ^ Oregon State University Army ROTC. History of Military Science at Oregon State University. 2016. ^ "Oregon State University Baseball Players Who Made it to the Major Leagues". Retrieved 2008-06-22. ^ "NBA/ABA Players who attended Oregon State University". Archived from the original on 2006-04-26. Retrieved 2008-06-22. ^ "NFL Players who attended Oregon State University". Archived from the original on 2008-03-07. Retrieved 2008-06-22. ^ "Colby Covington - Official UFC® Fighter Profile". www.ufc.com. ^ "Basketball Reference for Gary Payton II". Basketball Reference. ^ "Pro-Football Reference for Johnny Hekker". Johnny Hekker. 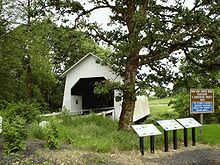 ^ "Our History | Oregon State University Extension Service". Extension.oregonstate.edu. 1911-07-24. Archived from the original on 2017-01-13. Retrieved 2017-01-22. ^ "Our Leadership | Oregon State University Extension Service". Extension.oregonstate.edu. 2015-11-23. Retrieved 2017-01-22. ^ "Find Us | Oregon State University Extension Service". Extension.oregonstate.edu. Retrieved 2017-01-22. ^ "Gardening | Oregon State University Extension Service | Gardening". Extension.oregonstate.edu. Retrieved 2017-01-22. "Oregon Agricultural College" . Collier's New Encyclopedia. 1921.